The head of NTT, Mr.Toshiyuki Araki, the Japanese telecommunications company is looking to expand globally outside of Japan. With the development of this technology, we can detect things much faster, specifically focusing on infrastructures that would normally take a long time to construct, however with the use of image data we can analyse and construct the structures of bridges much faster. Providing AI services to contribute to our clients’ business value. By taking advantage of our achievements of more than 300 cases of big data analysis, as well as our AI technology such as “corevo” NTT DATA provides AI services to contribute to our clients’ business value. Satoshi Kurishima, President of the NTT Comware Corporation. With high expectations of AI technology, there has been a variety of machine learning frameworks from IT vendors; however, the skill, functional coverage area, and method differ according to each client’s needs. NTT DATA provides the best methodology, machine learning framework for data analysis and prediction, and common base platform for each industry to construct ideally combined services for each user. The NTT Group is collaborating with partners to utilize edge computing technology and ICT infrastructure to develop and launch the FANUC Intelligent Edge Link and Drive system. Another AI system that will benefit the manufacturing digitalized system. The FIELD system is a platform that utilizes advanced machine learning to further improve the productivity and efficiency of manufacturing. This system combines AI and edge computing to enable distributed machine learning that allows for real-time processing of data collected from machines, flexible and intelligent collaboration between machines. AI technology is dramatically changing production sites for manufacturing. AI enables Electronic product manufacturing lines to use image recognition systems in which image recognition systems help perform automated assembly and inspections throughout the manufacturing process. Electronic product manufacturing lines use image recognition systems that NTT is developing in which image recognition systems help perform automated assembly (e.g., tasks for mounting and assembling components) and inspections throughout the manufacturing process. However, these image recognition systems are increasingly becoming a bottleneck for the manufacturing industry to respond more flexibly and quickly to part specification changes and start-up of and changes to manufacturing lines. With features such as deep learning that encapsulate 3 distinct phases. The Annotation phase, the training phase, and inference phase to implement image recognition that will benefit and improve the infrastructure and manufacturing system. NTT COMWARE has long utilized ICT systems to support Japan’s communication infrastructure. As an expert group providing a safe and secure infrastructure to society, we have continued to innovate, taking pride in the fact that we are an organization in which each employee is a professional. 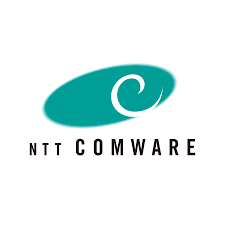 In today’s rapidly changing business environment, as a true business partner to our customers, NTT COMWARE will, of course, utilize our accumulated technology, experience, and quality to support the business of those customers. Furthermore, by spurring digital innovation via customer collaboration, we will also endeavor to contribute to the creation of new business. We at NTT COMWARE are taking on the challenge of creating a communication-rich society by collaborating with the customer to create business value.